The chase started on Sokokis Trail in Limerick and ended in the woods in Waterboro. 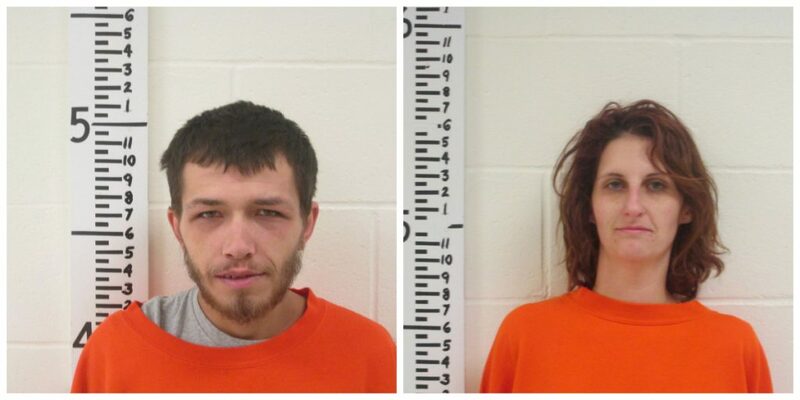 Two New Hampshire residents are facing several charges following a police chase in Limerick and Waterboro early Friday morning. Shawn Davis, 28, of East Wakefield and Martina Cervantes, 27, of Concord were arrested after a chase that started about 4 a.m. when a York County sheriff’s deputy attempted to pull over a 1998 Toyota camper operated by Davis for a faulty taillight and erratic operation on Sokokis Trail near Enterprise Road. The driver did not stop and Deputy Cody Frazier followed the vehicle, Sheriff William King said in a statement. The driver continued southbound on Sokokis Trail into Waterboro and at one point the driver shut off the vehicle’s lights. The vehicle turned left onto Chadbourne Ridge Road and left onto Bradeen Road, which is a dead end. The vehicle crashed through a snowbank at the end of the road and continued about 150 feet on an uncleared path in the woods. King said Cervantes and Davis fled from the vehicle into the woods. Deputies followed their tracks and found them in separate hiding places. Davis was found to be in possession of about 7 grams of heroin and also was being sought on drug-related warrants by Maine and New Hampshire. He was charged with eluding a police officer and faces additional charges, King said. He was being held on $5,000 bail at York County Jail. Cervantes was charged with failure to submit to a police officer and was being held on $500 bail. They are both scheduled for arraignment Monday.